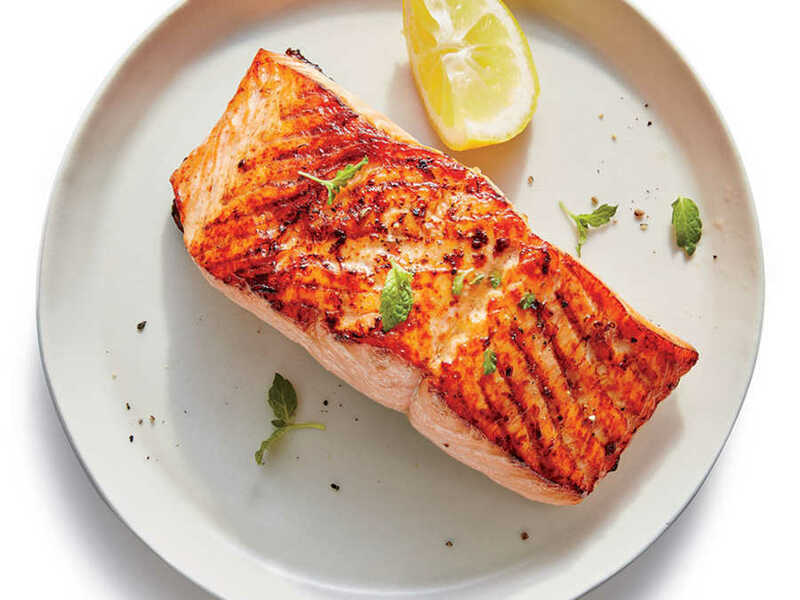 Broiled salmon is a great way to get your Omega 3’s. Fish is a wonderful lean protein that we should eat more of. I always keep tuna packs at hand for a quick snack. Salmon is more satisfying because it has a higher fat content and so you feel more satisfied after the meal. Some people are afraid of cooking fish, and we’ve all made that mistake where it comes out more like catfood than a gourmet meal. And it’s OK to make mistakes. I think this video makes it seem easy. And if you have a toaster oven, you can broil it in there if you only want a smaller portion. You can see the full recipe here. What it doesn’t tell you but the video shows is that they sprinkle lemon juice over the broiled salmon once its cooked. My family from Seattle told me the key to cooking salmon correctly is pull it off when it’s still a little pink and shiny on the inside. You want it to look a little underdone. It will cook the rest of the way by the time you get the plate on the table, trust me on this. Broiled salmon goes great with a wide variety of veggies. I’ve made it with swiss chard, green beans, broccoli, roasted brussels sprouts, etc. 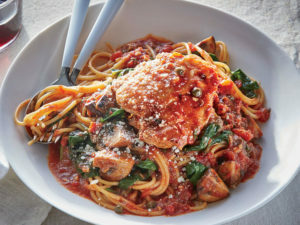 Pasta and potatoes along with rice can balance out the dinner. I never serve tartar sauce with salmon. I think the lemon is quite sufficient. You could also make a mango salsa to go on top of this. It would go great with a salad and simple rice on a warm summer’s evening.